The neat, clean structure of the Jonathan sofa is a welcome addition to any room. 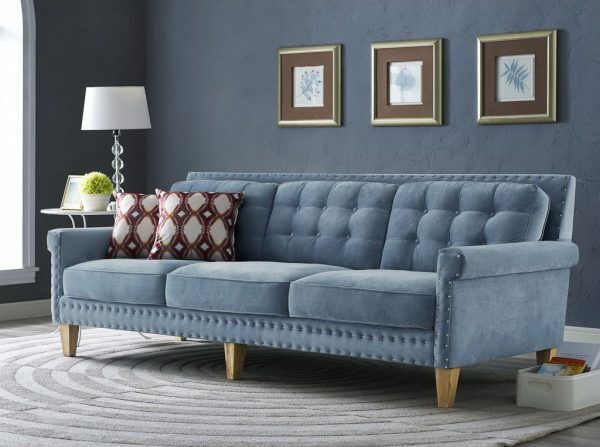 Its versatile light blue velvet is as comfy as it is gorgeous. 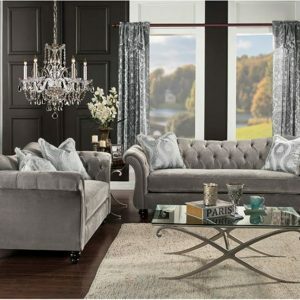 Featuring a solid wood frame with weathered Oak legs, the hand-applied nailheads and tufting complete the look. The Jonathan Sofa will complement any decor.